Embrace the culture, history and natural beauty of the California coast at our collection of five unique boutique hotels in Monterey, California. 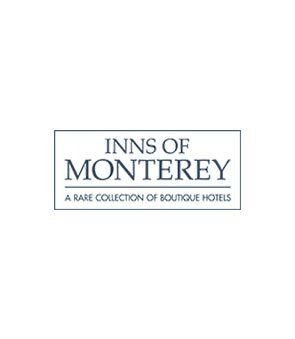 Whether you are planning a romantic getaway, a family vacation or a special event, Inns of Monterey offers beautiful accommodations in Old Town and on historic Cannery Row. Relax and discover Monterey's incredible beaches, vibrant dining scene, wineries and famous attractions, including the Monterey Bay Aquarium. Our four intimate hotels truly celebrate the character and spirit of Monterey Bay and offer authentic experiences you won't find anywhere else. Discover Monterey's exciting dining and wine scene celebrating fresh, local California food. Savor Spanish-inspired fare and Mediterranean tapas with a pinch of adventure at Estéban Restaurant. Inspire your colleagues and celebrate with friends and family in our beautiful meeting and event spaces, from stylish ballrooms to boardrooms to outdoor terraces on Monterey Bay. Dedicated to environmental stewardship, we are proud to feature eco-friendly hotels that are dedicated to keeping Monterey and our planet green through recycling and conservation. Our boutique hotels are located in picturesque Old Town Monterey and on historic Cannery Row overlooking the Bay. Walk to beautiful beaches, shopping, dining and popular attractions like Old Fisherman's Wharf, San Carlos Beach and The Monterey Bay Aquarium.